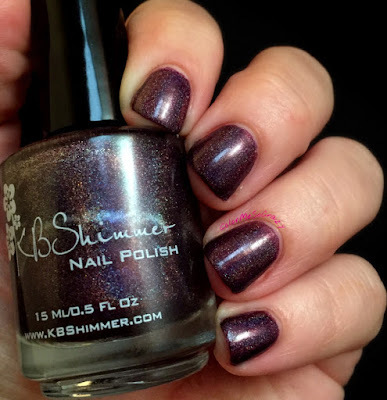 KB Shimmer Fall 2015 Collection AND It's GORGEOUS! 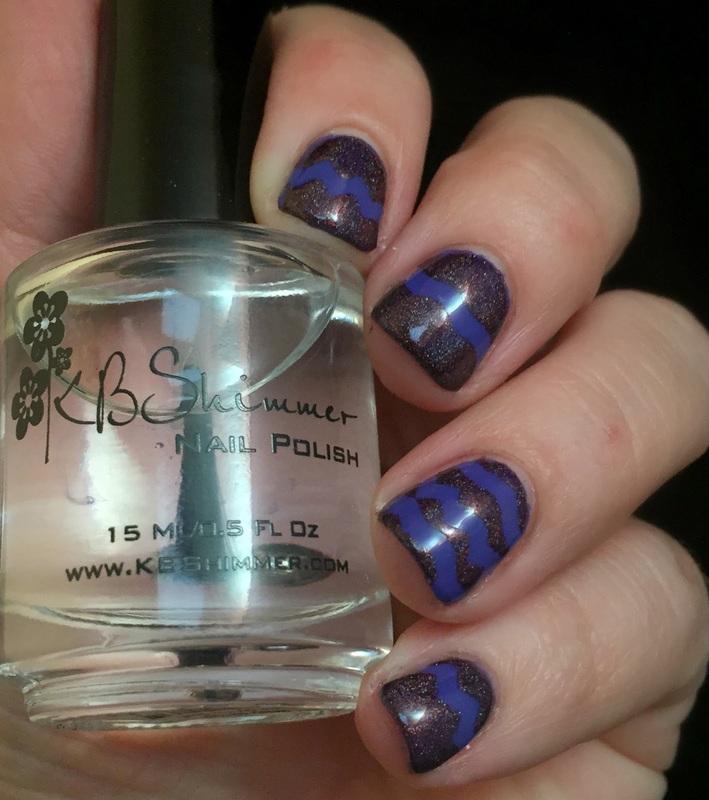 Ok so almost a month ago KB Shimmer launched their Fall 2015 collection and boy is it gorgeous! 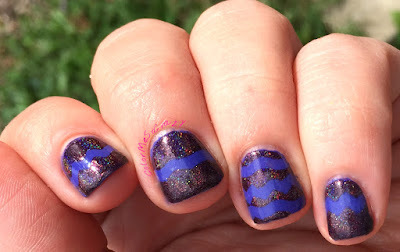 I was doing my usual blog perusing and saw so many great swatches of these polishes. The colors are ridiculously gorgeous and I can't wait to get my hands on the rest of this collection. There is a bunch of teals that I just MUST have! 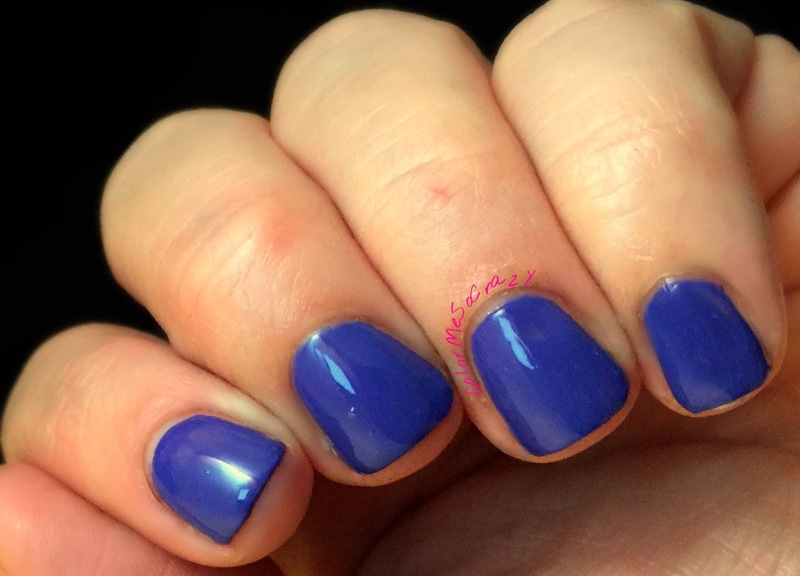 This is a gorgeous color and I am so happy I got to try it! 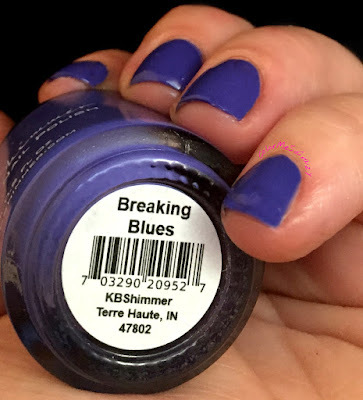 KB Shimmer describes it as a "darkened Periwinkle blue". It is a super rich cream and is a one coater. I used two coats in the these pictures because, well, that's how I roll. When I put this on, my first thought was, "this looks like a pair of blue jeans". Gorgeous! I love this dusty blue. Dusty colors are the hot shade for the fall and I love all over them! You can grab this up for $7.50 here. THIS polish is THE polish of the fall. I am in love with holos all over again because of this. I just got done commenting on a fellow bloggers site saying I am underwhelmed by holos lately. This just is gorgeous. 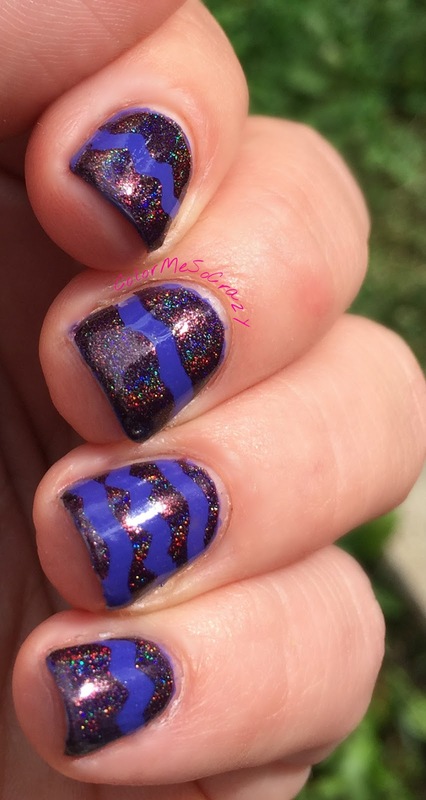 My favorite color in a holo finish is so bad it's good! 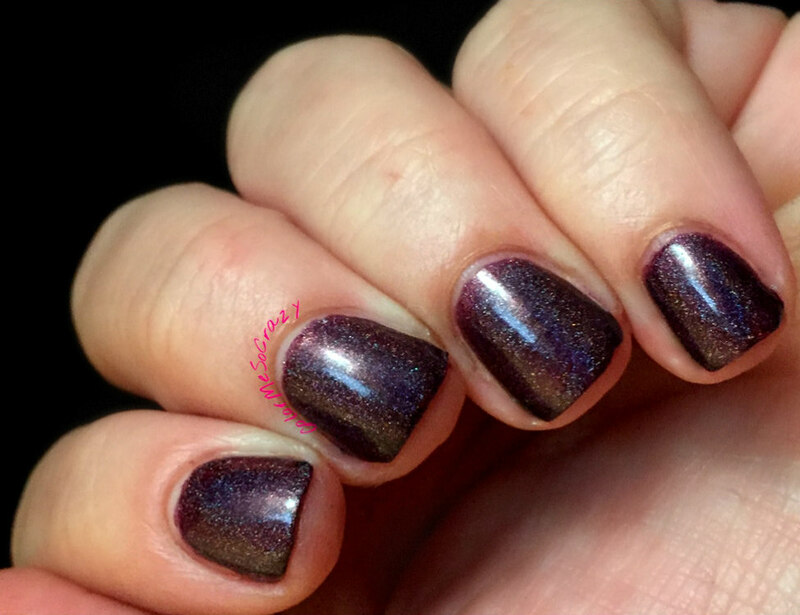 This is a deep burgundy, purple, linear holographic polish. 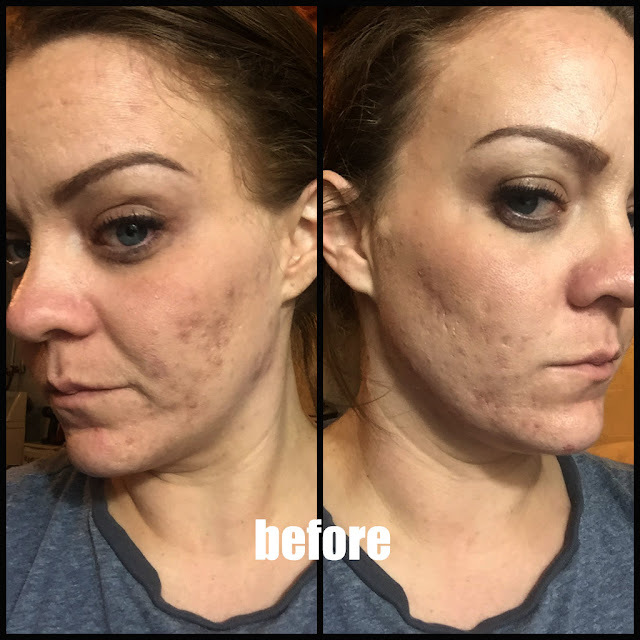 I used 2 coats which is about right for full coverage. I was praying to the sun gods for a little light this past week but I have gotten nothing but clouds and rain so I couldn't get any good outside pics for you. I have a couple below but nothing with straight F-GAI on. Sorry! You can grab this up for only $8.75 here. I have used the regular top coat before and I love it! It happens to be one of my favorites. This quick dry is unlike the rest of my stash unlike there is no chemical smells that come out of this bottle. 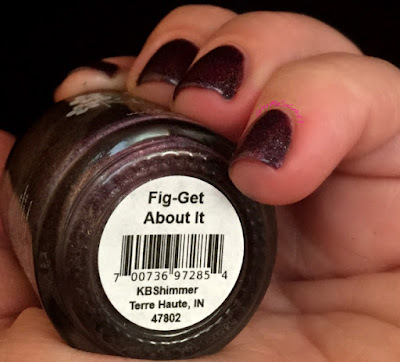 Clearly On Top gives any mani a squishy, gel like finish. You can scoop this up for $5.50 here. So.... here are my outdoor shots. THE ONLY ones I got with the sun I had about a week and a half ago! Boo! I miss my sun. Needless to say, again (thanks to Joaquin) there is rain all over my day. As you can see, this holo is just blinging all over the place and it is super pretty! I love it! What do you think of the two colors I had for you today? Have you tried any of the KB Shimmer top coats? What do you think of the Fall 2015 collection? Do you plan on picking any of them up? Which ones?